Sold out before I could get my entry in, so if anyone has a place they no longer want I'll buy it from you (face value only!). ok thanks Bryan, will check with organisers if they can swap our names around and get back to you. 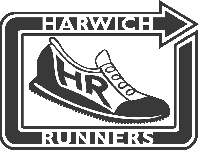 Have heard from Race Director Russ Sharpe that all runner details have already been sent to chip timing company and he says that he cannot swich anyone down to run originally with a different runner.